July 31 marked a gloomy farewell to one of New Jersey’s best known rock venues after 35 years of business: Maxwell’s. On the corner of 11th and Washington in Hoboken, a free evening block party was held to honor the venue&apos;s last night of business. The owners of the venue chose to shut down, to adjust to the “changing nature” of the neighborhood. Needless to say, there will be a shift in Hoboken’s music scene as a result of Maxwell’s closing . Hundreds were attracted to the event last Wednesday by DJs from WFMU-FM, along with several food and drink vendors. The inside of the club was open at 4:00 when the block party began, but was cleared of its traditional restaurant seating. Two performances took place that evening: The Individuals with Delicate Steve at 6:00 p.m. and The Bongos at 9:00 p.m. The latter band had a special significance, as members of the Bongos (then performing under the name "a") were the first act ever to perform on Hoboken’s favorite stage in the back room. This was not always the case. Maxwell’s originally opened in August 1978. Before it was transformed into the intimate performance space and dining area most patrons were accustomed to, it was once a tavern for the workers of the Maxwell’s Coffee Plant across the street. Clearly, before the management that took over in the seventies switched up the space, it was not exactly the ideal place for local hipsters to convene over a beer at a rock concert. Another reason the venue had difficulties was Hoboken&apos;s parking situation. Between the limited number street spaces dedicated to city residents and the few parking garages that fill fairly quickly, parking for a show at Maxwell’s ended up being a bigger ordeal than many anticipated. Potentially, the management can carry out the legacy of the music club by moving to a nearby town. Co-owner Todd Anderson has publicly considered booking shows elsewhere in Jersey City and at the Bell House in Gowanus, Brooklyn. However, no official decision has been made about the future of Maxwell’s legacy just yet. If the Maxwell’s crew heads south of Hudson County or even out of state, New Jersey&apos;s music scene will have suffered a tremendous loss. Although there are still thriving bars, restaurants, and other neighborhood businesses, the indie and punk scenes that drew fans to Maxwell&apos;s are unfortunately no more. Although the population within the city is growing, the following for the indie rock scene is not as prevalent among the city&apos;s new residents. 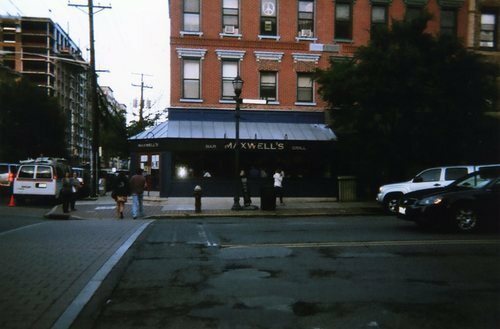 Many of Maxwell’s commonplace customers were not actually Hoboken residents, but rather came in specifically for the venue itself. It&apos;s sad to realize these fans now have one less venue they can call their own.